It's happy hour every hour with these brightly colored and fun drink checks! Four rotating scene with four recognizable drink silhouettes. It's five o' clock right here with these Happy Hour checks! 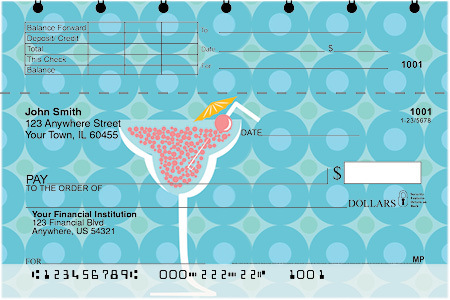 Whenever you right a check you will be reminded that it's going to be happy hour soon enough! 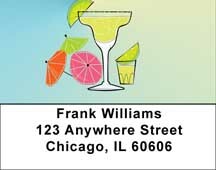 It's five o' clock right here with these Happy Hour address labels! Whenever you use these address labels you will be reminded that it's going to be happy hour soon enough!